Strategic Management for Tourism, Hospitality and Events is the must-have text for students approaching this subject for the first time. It introduces students to fundamental strategic management principles in a Tourism, Hospitality and Events context and brings theory to life by integrating a host of industry-based case studies and examples throughout. New international Tourism, Hospitality and Events case studies from both SME’s and large-scale businesses are integrated throughout to show applications of strategic management theory, such as objectives, products and markets and strategic implementation. Longer combined sector case studies are also included at the end of the book for seminar work. Web Support for tutors and students providing explanation and guidelines for instructors on how to use the textbook and case studies, additional exercises, case studies and video links for students. This book is written in an accessible and engaging style and structured logically with useful features throughout to aid students’ learning and understanding. 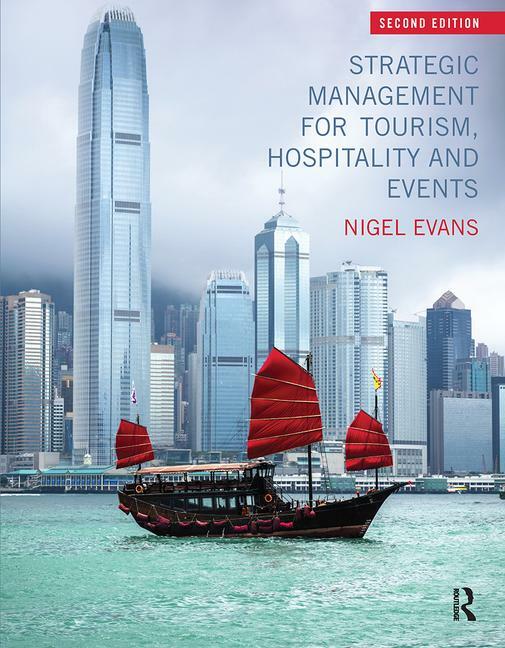 This book is an essential resource to Tourism, Hospitality and Events students. Nigel Evans is Assistant Dean of the School of Social Sciences, Business and Law at Teeside University. He has published widely in tourism and management and taught strategy for many years on varied programmes including MBA and BA (Hons) Travel and Tourism programmes at Teeside and Northumbria Universities.